For retail clothing across Australia search Nbtrade.com.au directory, Clothing Retail Ballina, Clothing Retail Brunswick Heads, Clothing Retail Kingscliff, Clothing Retail Tweed Heads, Clothing Retail Coolangatta and more suburbs Nationwide. Whatever you are looking for when it comes to clothing. Get the latest womens fashion and mens clothing. Search Boutique stores close to you, mens working gear shops, kids clothing, designer dresses, tops, bottoms, accessories and more! With Nbtrade.com.au directory on Clothing Retail. Shoes, Tops, Dresses, Accessories, Pants whatever you are looking for when it comes to clothing and retail you'll find what you need, with a price you can afford in a shop local to you through Nbtrade.com.au clothing retail directory. 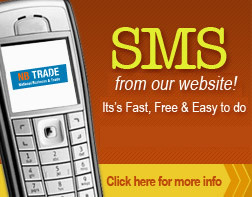 Email or SMS straight from our Clothing Retail Directory. Don’t be bombarded with misleading advertising, confusing claims and simply bad information. Nbtrade.com.au provides all the information you need. From Contact details to specialties. Helping you source Clothing of the highest quality of care. Look no further Nbtrade.com.au with the best and the most popular in our local area.